Move over world! There’s a brand new tequila on the block and he’s got a poisonous bite that is strikingly smooth and his name is Crotalo. 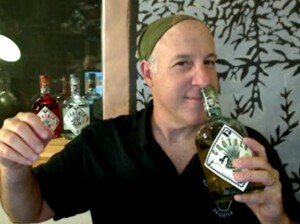 In this special “2-fer Tasting” edition of the TEQUILA WHISPERER Show, Th’ Lip tastes all ages of this feisty newcomer, and ends the episode with “The Great Sun Chips Sound-Off” contest to see if those compostable Eco-bags were REALLY as loud as consumers complained they were. 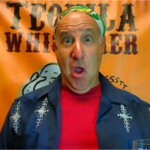 Can you SMELL what Th’ Lip is cooking up in this special episode of the Tequila Whisperer show? We’re excited to welcome professional FRAGRANCE DESIGNER, Lisa Wilson to show! Watch and learn as Lisa schools Lippy in the magical art of creating a fragrance. We’ll learn about the importance of “HEAD SPACE” as she samples some of Lippy’s favorite, singular-smelling tequilas, and deconstructs their aroma profiles. And, HEY, mebbe she’ll even sip a few! Espolon Tequila has long been a cult favorite. It never got a lot of fanfare, but aficionados in-the-know had routinely sung its taste praises. Then it went away for almost 2 years. A new distillery owner brought the brand back with bold new graphics, a hip marketing campaign, and a MUCH lowered price! He drank, he tasted, he TALKED, then got pulled over here, then over there, then he drank a bit more – and more, and tasted and talked, and tasted…. 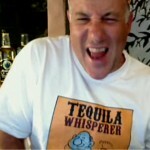 Ahhhhhhhhhh, such is the life of your Tequila Whisperer on the road. In this special “Spirits Of Mexico” BEST OF show, Th’ Lip is back in the Man-Cave and recounts the entire story of his trip from San Francisco to San Diego and back again. Every year for the past 6 (or 7? ), the “Spirits Of Mexico” Festival is held in San Diego, Ca. 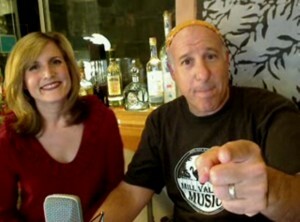 This year Th’ Lip was a Special Guest of the Fest’ and produced his FIRST On-Location “Tequila Whisperer Show” from a locale other than the mysterious Man-Cave!